When will be Australia's Deadly Monsters next episode air date? Is Australia's Deadly Monsters renewed or cancelled? Where to countdown Australia's Deadly Monsters air dates? Is Australia's Deadly Monsters worth watching? Australia's Deadly Monsters are supremely adapted to life within the great southern continent's varied and often hostile environments. The series takes us on a journey through monsoonal floodplains, parched desert dunes, and lofty highlands as we explore the unique lives, habitats, and hierarchies of some of Australia's monstrous creatures. Australia: a land of extremes and home to natural born killers found nowhere else on earth. This is a land where prehistoric predators dominate the deadly waters, while scorched desert sands host an array of venomous critters. Discover some of Australia's deadliest monsters. Outback Terrors explores life in Australia's arid heartland. Extreme conditions require extreme solutions. An evolutionary arms race has raged here for eons. When the Nightmares of the North move to strike, death is a foregone conclusion. Pray you never meet these ruthless monsters in the Top End, Down Under! 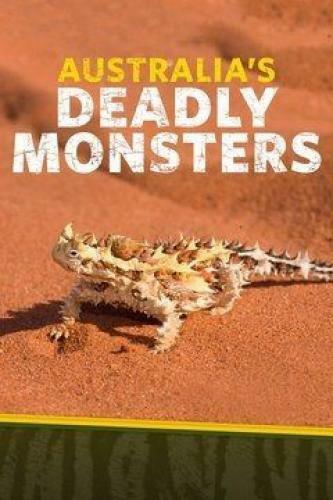 Australia's Deadly Monsters next episode air date provides TVMaze for you. EpisoDate.com is your TV show guide to Countdown Australia's Deadly Monsters Episode Air Dates and to stay in touch with Australia's Deadly Monsters next episode Air Date and your others favorite TV Shows. Add the shows you like to a "Watchlist" and let the site take it from there.